The 10 Best Hair Salons in Arizona! Want to change up your look? Thinking about trying a different hairstyle or color? You’ve come to the right place. Arizona’s top-rated hair salons are at your service, whether you want a simple cut, traditional color, or some vivid balayage. Walk away satisfied after a trip to one of the best hair salons in Arizona. Whether you’re looking for a haircut, color, perm, blowout, or a special occasion hairdo, Arizona Hair Co. has you covered. And with their many locations, you can rely on them whenever you want to refresh your look—no matter where you are in the state. With their affordable services, online coupons, and dependable service, it’s no wonder why Arizonans come back again and again. Milla’s Hair Salon has been making residents of Arizona look and feel beautiful since its opening in 1998. Milla’s offers all kinds of different services—from haircuts and color to wedding packages, microblading, body wraps, and so much more. Make yourself feel beautiful by booking an appointment at Milla’s Hair Salon today. The Root is in the business of making each of their clients feel fantastic. 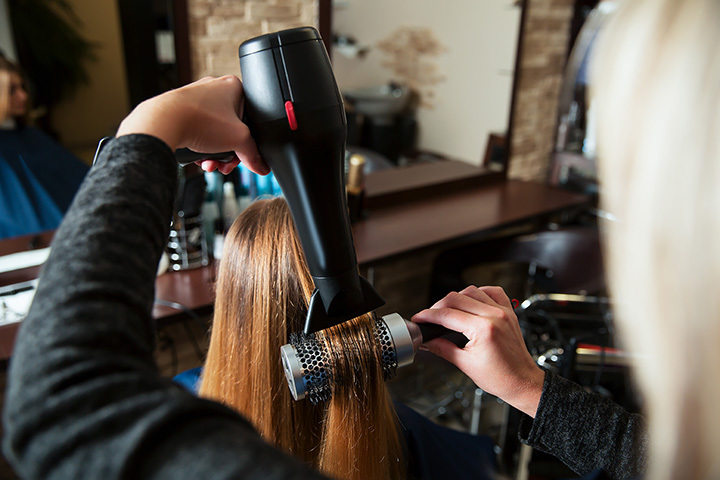 Stylists at the salon are trained in all of the latest techniques, including balayage, razor and scissor cutting, foil placement, and how to achieve the perfect blow-dry. With every visit to The Root, you’ll receive a warm welcome, a thorough consultation, a scalp massage, and superior service that will leave you looking and feeling amazing. In Scottsdale, Rumors Salon is practically an institution. It’s been in operation for more than 30 years, and has been making Scottsdale area customers happy since its inception. Hair stylists and technicians at Rumors are internationally trained, so they’re familiar with trends both stateside and abroad. Schedule your hair appointment online today. Snapdragon’s approach to hair is unique, to say the least. Depending on your style of hair, the stylists at Snapdragon will adjust their technique to ensure they give you the best possible service. Check out Snapdragon’s gallery to see all of their stylists’ great work. Whether you’re looking for vivid hair, a pastel hue, or something a little more neutral, Snapdragon will be happy to make your hair dreams come true. Dolce Salon & Spa offers all kids of different services to its patrons. From hair salon services to massage therapy to facials and skin care to makeup to eyebrows—and even more. In addition to its many services, you’ll find unique and unmatchable style, for an unforgettable salon experience. Book your appointment online and receive high-end client treatment today! At Flirt Salon, the focus is as much on the salon experience as it is on the service. It’s no wonder, then, why the salon has won several awards. Flirt Salon features and elite team of professionals who are ready to knock each of their services out of the park on any given day. Schedule an appointment for your award-winning service and get ready for a truly memorable experience. Opened by Jack Torres, a stylist and educator with over 35 years of experience, ETCH Salon is one of the most popular salons in the state. They offer a wide range of hair services, skincare, and waxing, each with the utmost care and dedication. Their diverse, friendly staff and clean, comfortable environment make for a great experience each visit—no matter what your appointment is for. Secrets Hair Salon provides clients with unique and creative work and quality service day in and day out. They offer many different hair services for the whole family, each at very reasonable prices. In addition to hair services, Secrets also offers body services like facials, makeup, and waxing services. The environment at Tantrum Hair Salon is elegant, comfortable, relaxed, and supportive. Whether you make an appointment for one of their hair services, esthetics, or a nail service, you’ll enjoy professional treatment, a nice atmosphere, and friendly, knowledgeable service.